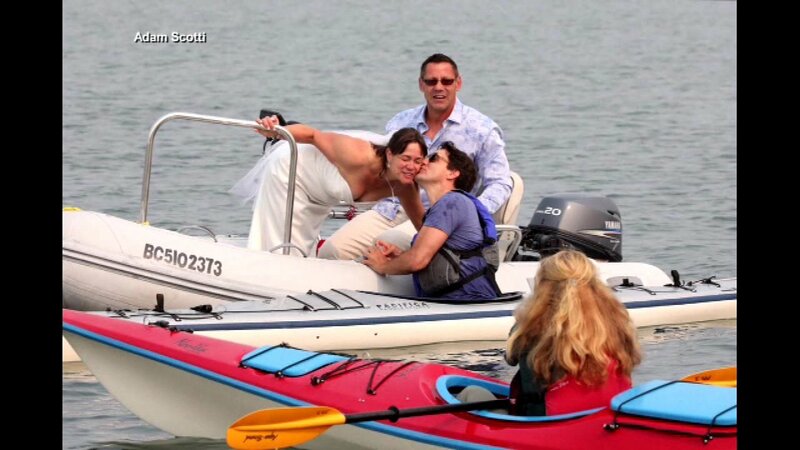 VICTORIA, Canada (WLS) -- Canada's Prime Minister Justin Trudeau kissed a bride after making a splash while kayaking. First Trudeau fell in the ocean near Victoria,British Columbia. Then a bride and groom in a boat pulled up beside him. The bride was still wearing her wedding dress. The groom said the pictures of their visit with Trudeau will make a nice addition to their photo album.